PayPal is hoping to expand its membership by rolling out a new cash-back credit card. The PayPal Cashback Mastercard, which is only available to PayPal members, gives cardholders 2% cash back on every purchase. PayPal's card is notable for the high amount of cash back it offers on purchases across the board. The new card also has no annual cash back limit, no minimum redemption amount, no restriction on how to spend cash rewards and no expiration on rewards. 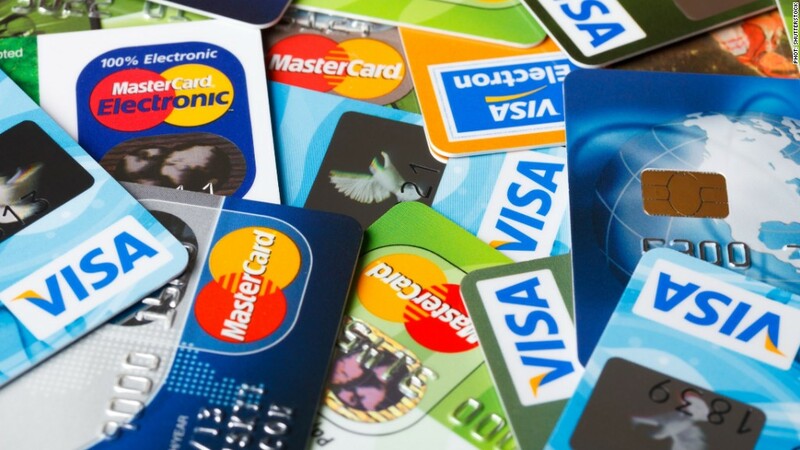 While other cards offer a higher percentage of cash back, it's usually only offered on certain categories of purchases like groceries or airfare and often comes with a cap on spending. Citi's Double Cash card gives you 1% for purchases and 1% when you pay it back, rather than a full 2% all at once as the PayPal card does. "It doesn't seem like 2% is that much, but if you use that regularly it can really add up," says Matt Schulz, senior industry analyst at CreditCards.com. Even though upscale rewards cards like Chase Sapphire Reserve, American Express Platinum, Citi Prestige Card and the Bank of America Premium Rewards card get most of the buzz, most people just want cash back, says Schulz. "People want a set-it-and-forget-it card that gives them a good reward and doesn't make them do a lot of work to get it," says Schulz. "This card shows PayPal understands that." PayPal's other credit card is the PayPal Extras Mastercard. That card follows a typical 3-2-1 points system, in which customers get more points for things like groceries and gas. It also includes more points for PayPal and eBay purchases. The Extras Mastercard is similar to credit cards offered by Amazon, which offer more points (up to 5% back) on Amazon purchases by Prime members. The PayPal Cashback card is is part of a bid by PayPal to encourage members to seamlessly move between PayPal mobile pay and a credit card. The new card, which is available through Synchrony Bank, skips the rewards in specific categories and gives people what PayPal is hearing that they want: cash. "By providing a simple way for people to earn cash rewards for the shopping they're already doing, the PayPal Cashback Mastercard will give consumers yet another reason to shop with PayPal," says Mark Britto, senior vice president, global credit for PayPal. By putting the cash rewards on a PayPal account balance, the company is looking to get more people using their PayPal accounts more often. You must have a PayPal account in good standing that is linked to the card or the cash rewards you earn could be forfeited. Cardholders are able to manage their accounts, redeem their cash rewards and even make payments all through their PayPal account. Approved card members can access their card before it arrives in the mail.